Children will love these colourful cars, trucks and cycles, including a bananamobile and 'bugdozer'. It is suitable for children aged 3 to 5 years old. Beep, beep! Honk, honk! Busytown's residents are on the go! 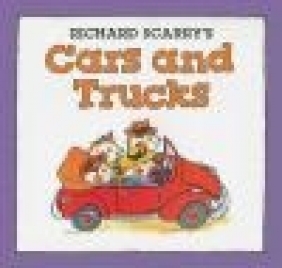 Richard Scarry's wacky introduction to vehicles both realistic and fanciful brims with his trademark humour. Every one of these colourful cars, trucks and cycles, from the Cat family's bright red convertible and Postman Pig's mail van to Banana Gorilla's yellow bananamobile, Wilbur Rabbit's drivable hot dog and Lowly Worm's bugdozer-will delight car-loving children.